Is it possible to go from dull to shaving sharp with 5 swipes? It is now! 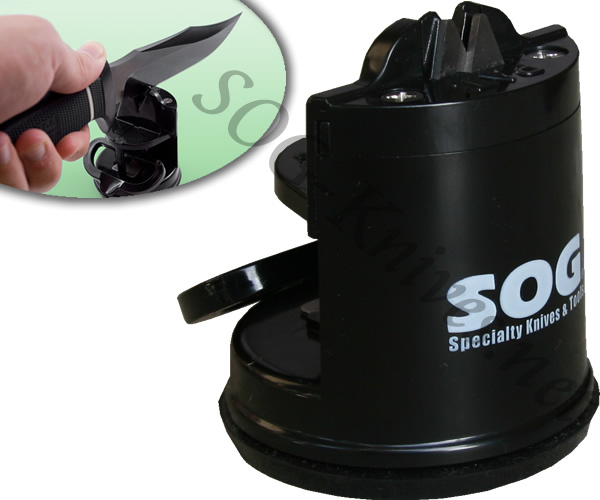 The SOG Countertop Sharpener SH-02 attaches to non-porous surfaces with a bottom-mounted vacuum base. Simply attach the sharpener and drag your knife slowly through the sharpener for a quick, sharp edge. Here are detailed instructions of how to use the sharpener. 1.) Find an ideal non-porous survate like glass, marble, granite, stanless steel, or fiberglass. 2.) Place the sharpener on the surface and depress the lever that actuate the vacuum base. 3.) Drag your knife blade slowly through the groove to sharpen the blade. Do not put the blade forward through the sharpener. 4.) When finished disengage the lever to release the vacuum base. 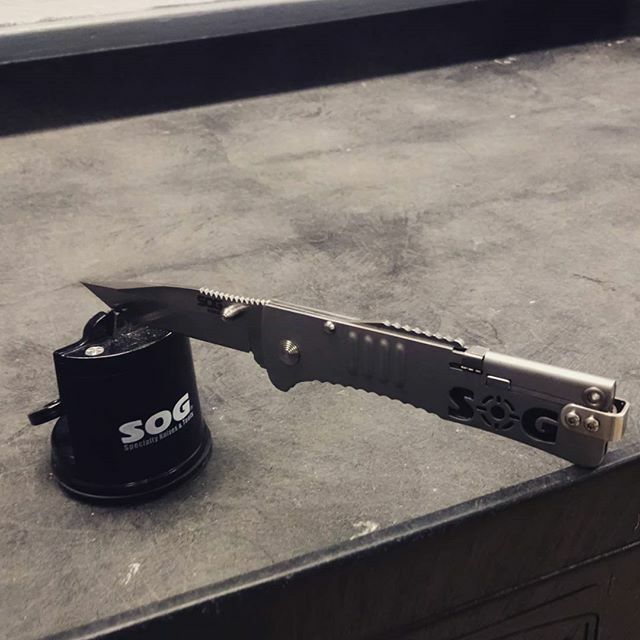 Own a SOG Countertop Knife Sharpener SH-02? Tell us how you like it! Got a question? Ask! Somebody will answer!